Also Mother of Tears, and weep with me . . .
At the foot of the Cross on Calvary. 7. Jesus Laid in the Tomb (John 19:39-42). 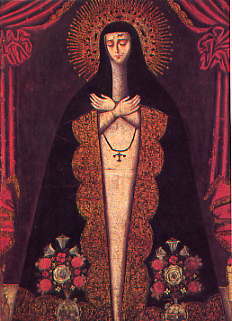 The Feast Day of Our Lady of Sorrows is September 15. 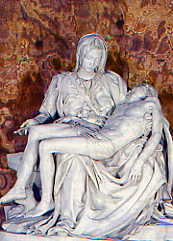 The Pieta also embodies the deep sorrow we feel for the loss of a spouse, child, parent, or friend. Throughout the ages, around the world, people (especially women) have sought divine comfort from sharing their sorrows with Mary and identifying their sorrow with hers.